This is the second volume of the OUP/HNPA Palliative Nursing Manuals, aiming to provide practicing palliative care nurses with clinically relevant quick reference guides. This one certainly fills the bill. The initial chapters on Pain Assessment and Pain Management are well set out and easy to follow. The text is tightly written and replete with lists and tables. Having said that, the table on pain assessment in the cognitively impaired sets out the details of no less than 21 different methods, which I thought might have been edited down. The chapters that follow deal with Nausea and Vomiting, the Management of Dysphagia, Xerostomia and Hiccups, and finally Bowel Management (which includes constipation, diarrhea, obstruction and ascites). Wherever I looked, there seemed to be masses of well-organized information and, having written more than ten editions of this type of pain and symptom control manual, I think I have a pretty good idea of what’s needed. I can be picky and ask whether denusomab is really a bisphosphonate or a bone-modifying monoclonal antibody, but overall I thought the content and presentation were very good. As noted for the first volume, the content is derived from the fourth edition of The Oxford Textbook of Palliative Nursing (OUP, 2015), which has not yet crossed my desk. I suspect there has been considerable editing and consolidation in the production of this pocket-sized Manual, which I found both informative and practical. I can make a good argument that nurses should have access to this Manual, whether or not they also have access to the less portable Textbook. We who work in medicine are privy to a lot the rest don’t see. Too often, I see patients treated with serial anticancer therapies until recognition of the dying process becomes undeniable, at which time the physician tells the family, “Well, you know, …it’s the cancer…” This is not good medicine and it is not in the best interests of the patients or families. 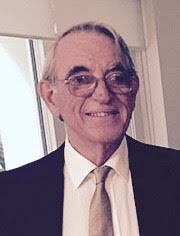 Attorney Jo Cebuhar is no stranger to the management of terminal illness. This is a new edition of her 2006 book Last Things First, Just in Case… Living Wills and Durable Powers of Attorney for Health Care. She has also written So Grows the Tree, about creating an Ethical Will and has served as chair of Iowa’s largest hospice program. This book is written for the layperson and is by far the best and clearest that I have seen. It is written in a conversational style and includes case histories to illustrate various points, but it also has lots of informative lists and a summary at the end of each chapter. It describes at length what a Durable Power of Attorney for Health Care means (the appointment of a proxy decision maker, for use at such time as the principal is unable to participate in their own care, for whatever reason) and the Living Will (which specifies the principal’s wishes for care in the event of a terminal or irreversibly incapacitating condition, which can be used by the proxy and physician for guidance, most importantly to do with treatment to prolong life). There is also useful guidance about how to choose your proxy and, more importantly, how to start the conversation and get it done. 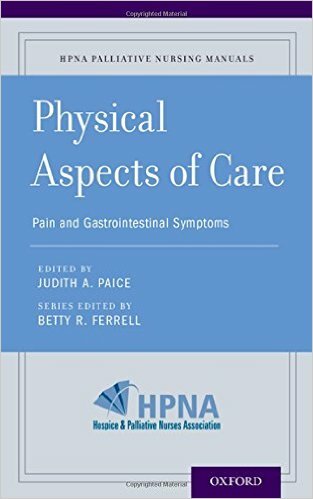 There are also useful chapters on Hospice and Palliative Care, Communicating with Loved Ones and Health Care Professionals, Ethical Wills (a record of what you stand for and how you want to be remembered) and a good discussion about Do Not Resuscitate orders (DNRs). 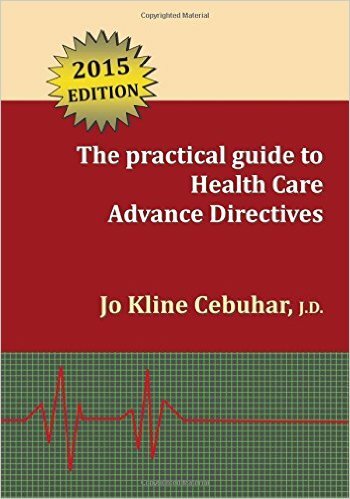 This book is written for the USA, and it sounds as though the fine print in the legislation relating to Advance Directives is not the same in any two States. And the legislation will vary outside the United States, as well. But if someone, anywhere – not just the USA – wants a book to explain what Advance Directives are all about, why they need them, and how to (and how not to) go about doing it, then I would be happy to recommend this book. 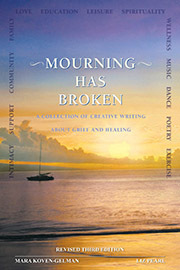 This is an anthology of writings about grief and bereavement based on the belief that writing about it is therapeutic. A number of the contributors are Jewish, and I think this adds to the strength of the message. Most of the contributions are intensely personal, but others, like the contribution of Rabbi Elyse Goldstein, offer general counsel. This book will be of interest to anyone who works in palliative care and has a special interest in grief and bereavement, and may be of help to some who have suffered the loss of a loved one.